There are three types of people I typically meet. The first group are avid fitness buffs. Exercise is their second nature. They love to move, and can’t imagine not to. The second category are individuals who know why it’s great to move and exercise, fitting this into their daily/weekly routine.The third group typically understands that exercise is something your doctor/nutritionist/insurance company want you to do. Their favorite magazine is trying to entice them with the idea of that perfect beach body. From time to time this group is persuaded to give exercise a try. The trick for this group is finding something that’s fun and enjoyable. Which group do you typically belong to? The last few days have been really lovely here. The sun is shining. It’s wonderful outside. I went for a walk in my neighborhood, and saw many joggers and walkers. People were just happy to be outside. It made me think of a fabulous book I read some time ago. Spark: The Revolutionary New Science of Exercise and the Brain by John Ratey. A colleague of mine recommended it a couple of years back. I always thought she was someone who just loved to exercise. Every time I travel with her, she is at the gym by 5 a.m. When one day she admitted the main reason she exercises is to protect her brain from aging, I was very curious, and almost shocked. She has a family history of memory loss and is putting in extra effort to keep her mind agile and sharp. In case you are wondering, I typically belong to the second type. I love to walk and hike, but my problem is getting myself into gym. For the longest time, I felt I never could. My attitude is changing these days. And after you read this, maybe yours will as well. There are 5 reasons why you also might want to rediscover exercise (especially aerobic) if you want to have a sharp, anxiety-free brain that is ready to learn and prosper. You know how people used to say, “Don’t get all stressed out, you’ll lose your neurons (those don’t regenerate)”? Well, part of it is completely false. Our nerve cells do regenerate. And guess what’s one of the main reason for that? You got it, it happens when we move. We were meant to move to find our food for survival. And we were meant to remember how to track these sources of food again later. You might not need to remember how to find your food today, but when you move, your body is in the process of building new networks, it learns and grows. A number of trials have shown that exercise enhances our memory, prevents aging, grows our brains, and reduces risk of Alzheimer’s disease. Are you trying to think better? Exercise to the rescue! You might now be able to do complex calculations while running on your treadmill, but if you want to do well on that exam, go for a quick jog half an hour before. Do you struggle with depression, anxiety, panic attacks, social phobias? 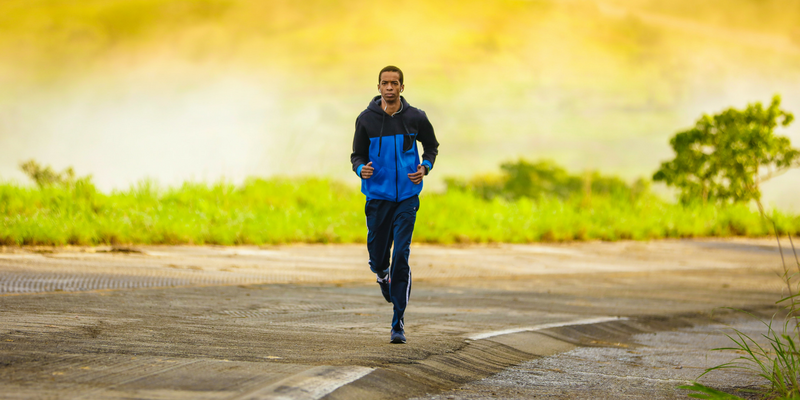 The knowledge is rapidly growing to show us that exercise can be a useful treatment in many situations comparable to conventional medications used for these concerns. Research has shown that exercise can decrease stress-induced depression. A former student and a colleague of mine just wrote a short review of why exercise is good and can improve the health of diabetes patients. If you are asking yourself, just how much activity do adults need, take a look at Centers for Disease Control and Prevention’s recommendations. So what are few other important things to know about exercising for brain health? You want to try different types and find something that really appeals to you. Running is great because it increases your heart rate. This in part stimulates the release of brain-building compounds like brain-derived neurotrophic factor. Challenging yourself is also very important, whether you are taking a class in tai chi, go rock climbing or trying a tango lesson — your brain is creating new pathways because you’re learning a new skill. Questions: What’s your favorite physical activity? Would you try a new class or new exercise? What types of exercise work well for you to reduce stress, to sharpen your brain, to decrease anxiety or social phobias? I am a college professor, pharmacist and herbalist, teaching young professionals and students how to have less stress and more focus on the right food and herbs. Are you tired of being tired? Click to get 7 of my favorite simple wellness tips to make your life more focused, vibrant and healthy.